This is one of the newest designs! 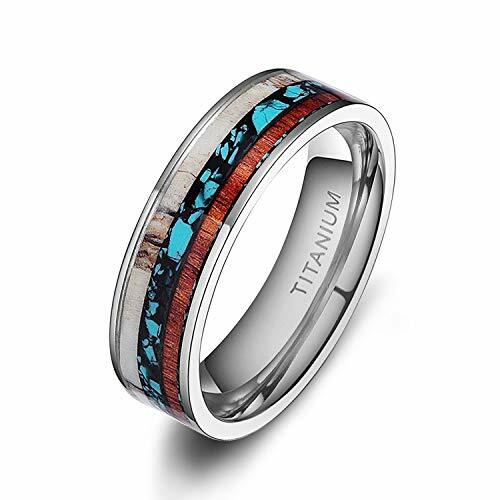 This beautiful Wood Turquoise Deer AntlersInlaid Titanium wedding ring is a great mix of sleek style and natural materials! Currently on sale and a great fit for someone who loves an Antler Ring, but wants something a little bit more unique and detailed than just an Antler Ring. Turquoise is one of the oldest protection amulets, and was also known as a symbol of wealth in many ancient cultures. Deer Antler was an inspiration thanks to our love of nature, hunting, and the wild outdoors.Deer and trees have a very special relationship in the wild, and so we thought it would be a great idea to create a ring which embodied that truth! This Rings will surprise and excite him, and every single one is unique and hand made, something special, not the same thing getting made from a machine one after another. 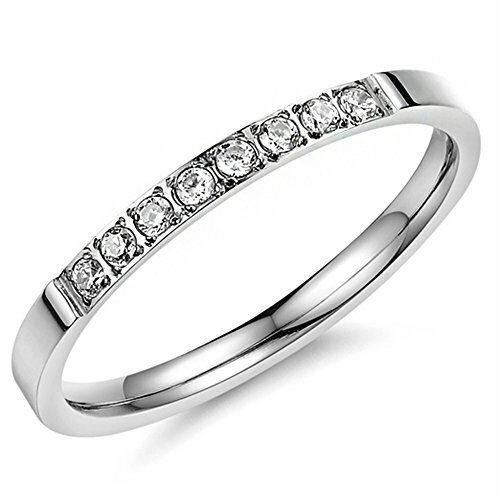 It will make a great special gift for birthdays, anniversary's, for his wedding band and much more. If he lost his last wedding ring, this makes a great replacement that is built to last. And can also order for Christmas, Birthday, Anniversary, Wedding, Engagement, or Valentine's day Gifts! What is titanium? Titanium is a natural element which has a silver-greyish-white color. Titanium is the hardest natural metal in the world, it is very strong, three times the strength of steel and much stronger than gold silver and platinum and yet is very light weight. Pure titanium is also 100% hypoallergenic which means that it is safe for anybody to wear as it will not react to your skin. Why choose titanium jewelry? Titanium provides several unique factors that make it the ideal metal for jewelry. It is very strong, more dent, bend and scratch resistant than gold, silver and platinum, is really lightweight and importantly keeps the modern look color forever. our titanium is also 100% hypoallergenic and will not produce skin irritation or discoloration. Beautiful Design with Real Hawaiian Koa Wood and Inlay Turquoise Smooth Insides easy to wear and Comfort Fit. Most sizes available for Men and Women The Light Weight Titanium 6mm has a Flat Top Titanium is the only element possessing the strength of steel, yet with a weight comparable to aluminum. Titanium has a dark metallic color, but is extremely lightweight. 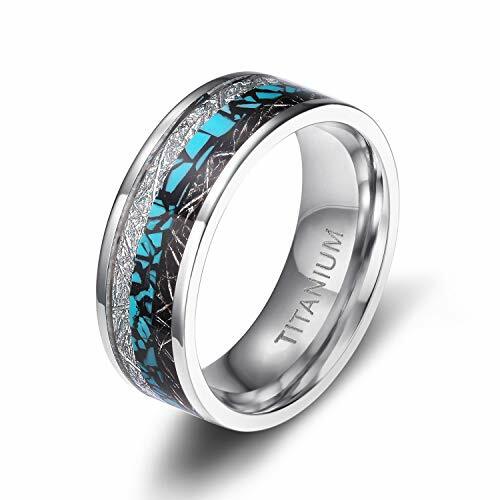 Titanium is the only element that offers the unique combination of beauty, strength, light weight and biocompatibility. Titanium will not bend. 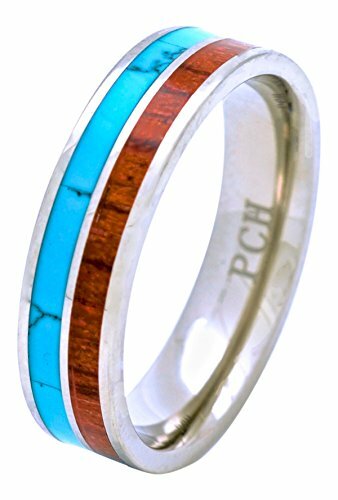 Display your true love of hunting with this real deer antler,Turquoise and koa wood inlay band! 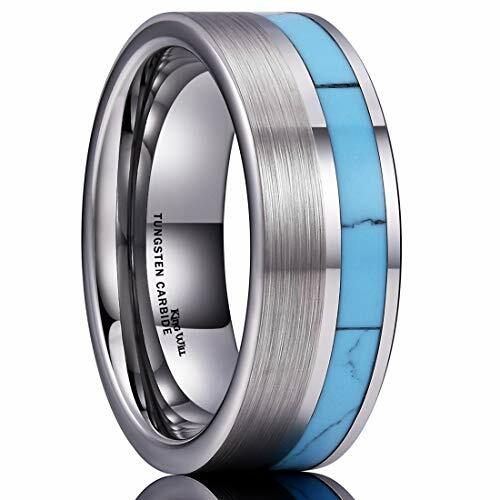 If you are a hunter or know one, then this is the best gift or wedding band for you. 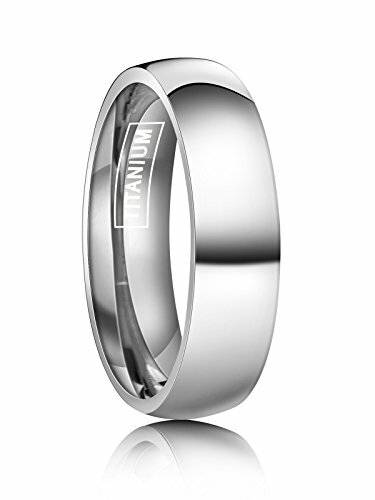 This stunning titanium ring features a flat top high polish band that is comfort fitted. Our rings are hypoallergenic. All rings come with a 100% money back guarantee and a FREE ring box. 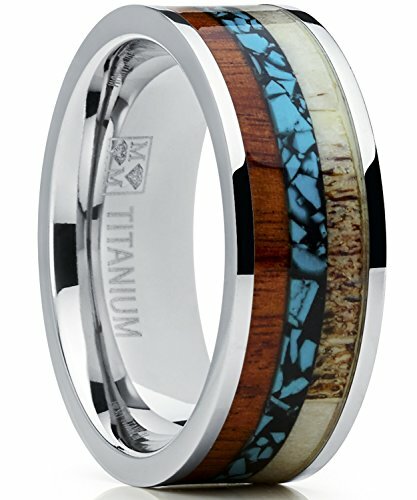 8mm Titanium Hawaiian Koa Wood & Turquoise Wedding Band Ring-Engraving Avail. 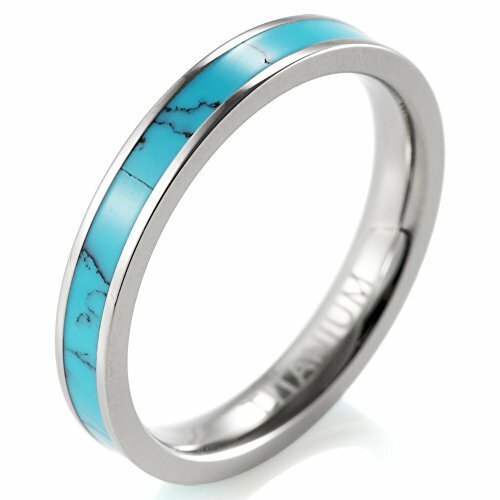 Want more Turquoise Titanium Bands similar ideas? Try to explore these searches: 18th Century Fireplaces, America Leaf, and Gingham Paper Plates.